Tri-Star Glove constantly improves products and constantly tests them with a third-party. 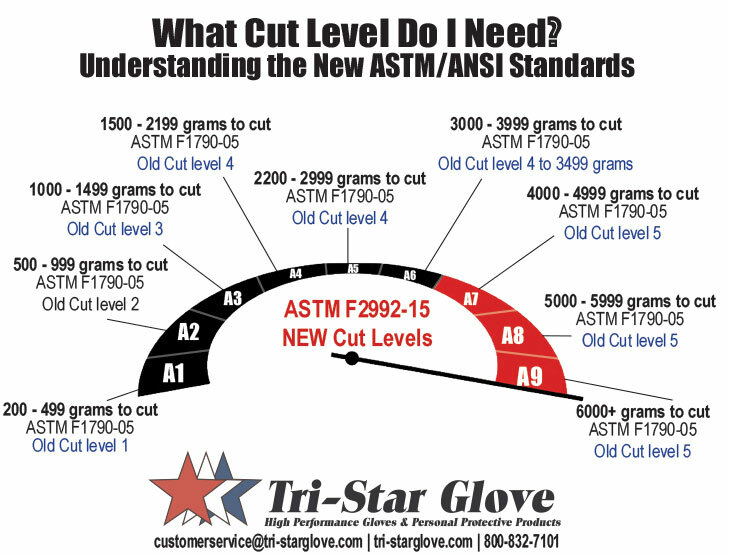 The American National Standards Institute (ANSI) standards were recently updated and Tri-Star Glove is working to convert our product cut levels to the new standards. ​ Please contact us if you need assistance with choosing a proper cut level for your safety needs.